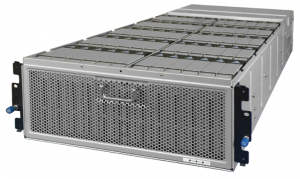 Storage is a critical component of 2CRSI’s solutions. Whether for high-performance computing, customized servers or highly efficient converged platforms, storage is a major contributor to system performance and reliability. It is also the primary location of their customers’ data. However, they sometimes encountered problems with high failure rates and short life cycles in disk drives. These drive failures could slow customer productivity and required time and expense to replace. Another problem was high vibration levels in their NAS systems when using certain drives. Excessive vibration can affect system performance and drive reliability over time. “As we promise our customers the best performance and an increase in productivity by selecting our servers, we really want to provide the best product, and those issues were not acceptable to us,” said Alain Wilmouth, CEO of 2CRSI. The HGST 4U60 Storage Platform delivers constant data throughput under load, thanks to the solid mechanical design and drive internal vibration compensation feature. The HGST helium drives with HelioSeal® technology generate less heat than traditional drives, enabling very dense storage solutions. Low noise, efficient cooling and tight thermal distribution across drives made integration of the 4U60 platform easy and worry-free. Low vibration levels allow mixed applications to run on the HGST platforms without impacting performance. For instance, a server running database searches might sit next to another one recording video. The T10-Zoning feature also allows the platform to be shared by up to 4 servers for greater cost effectiveness. Another attraction to HGST was its well-known brand in the field of professional storage solutions with a reputation for quality products. “HGST is the go-to supplier for high quality storage components with high reliability and very low failure rates. Thus, thanks to the HGST partnership, we can provide to our customers with the best products on the market, by bringing them efficient and cost-effective solutions,” said Wilmouth. After partnering with HGST, 2CRSI was equipped for the first time to deliver high-capacity storage solutions with superb longevity – without worrying about thermal or vibration issues. From the user perspective, 2CRSI reported that customers noticed the endurance and long useful life of the HGST disks drives, thereby reducing the number of parts allocated to replacement pools and the hours spent servicing failing parts. “Thanks to our proximity to HGST, we are familiar with the products marketed by HGST, which allows us to handle the installation of HGST solutions with ease,” said Wilmouth. 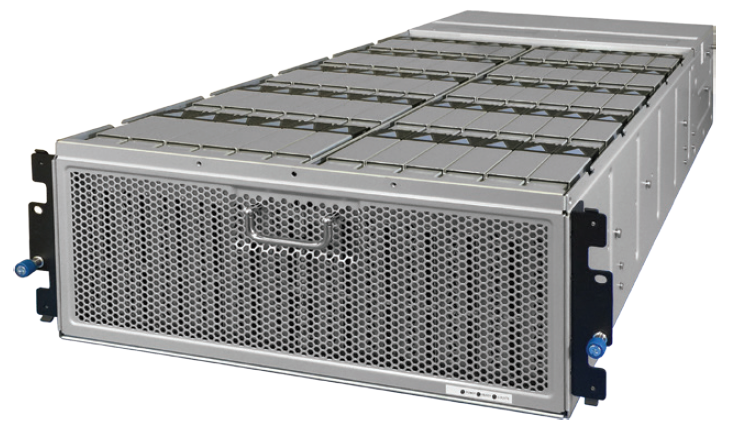 The 4U60 Storage Platform was already tested and integrated with a wide variety of HBAs, RAID controllers and operating systems. This “plug-and-play” integration sped up the development cycle of many new 2CRSI customer solutions. The high-bandwidth interface and daisy-chain expansion of storage pools enabled them to provide space for huge quantities of data in minutes. As an example, 2CRSI developed a solution for a cloud file sharing service that allows users to upload and share files with others. The cloud application runs on x86 Linux servers and uses HGST storage platforms and disk drives in a traditional RAID 5 configuration. This 2CRSI customer is successful because of great network bandwidth and excellent system reliability and stability built on HGST storage. Another example is a very large infrastructure for a French medical institute that will store patient data for 10+ years in order to develop treatments for nervous system disorders (brain and spinal cord) and enable patients to benefit from them as quickly as possible. The application is based on open-source scientific workflow software, OpenIO object storage technology and HGST storage hardware. “Working with HGST provides us with new business opportunities in our market. Thanks to their products and our knowledge in platforms and server systems, we can provide our customer the most powerful storage solutions that help them increase their productivity,” said Wilmouth. Please contact us if you want more information on 2CRSi storage solutions.